I’ve delivered several dispatches on carbon capture and storage (CCS) recently, including a pictorial ‘how-it-works’ feature on the world’s first commercial CCS power for Technology Review. Two aspects of CCS technology and its potential applications bear further elaboration than was possible in that short text. Most critical is a longer-term view on how capturing carbon dioxide pollution from power plants (and other industrial CO2 sources) can serve to reduce atmospheric carbon dioxide concentrations. The Intergovernmental Panel on Climate Change is looking for CCS to do much more than just zero out emission from fossil fuel-fired power plants. Even with CCS on all coal and gas-fired generation, and with renewable energy pushed to the max, the IPCC expects atmospheric carbon levels to remain dangerously high in mid-Century. That’s not hard to grasp in light of the fact that anthropogenic CO2 emissions and atmospheric CO2 levels are still rising, and prospects for a global agreement to stop that trend remain tenuous. CCS’s second act, in the IPCC’s vision, is to collect carbon from power plants burning wood or other biomass. Since the carbon in those fuels is mostly drawn from the atmosphere, capturing and storing it underground is a means of sucking anthropogenic carbon out of the atmosphere. According to the IPCC equipping biomass-fuelled power plants with CCS technology is the only power-generating option with negative carbon emissions. While it has yet to be demonstrated at a power plant, global ag commodities firm ADM started up CCS equipment at an ethanol plant in Illinois that is capturing bio-carbon at about the same rate that the Boundary Dam plant captures fossil carbon. The carbon capture process itself also bears further elaboration. The technology employed at Boundary Dam uses a chemical absorption process to separate carbon dioxide from combustion flue gases. Such post-combustion capture equipment is an adaption of the scrubbers added to many coal-fired power plants to remove sulphur from their effluent (thus reducing acid rain). My good friend Pete Offenhartz smartly asked what became of an alternate pre-combustion carbon capture approach that I have covered extensively in the past in which coal is gasified and carbon is removed from that gas stream prior to combustion. 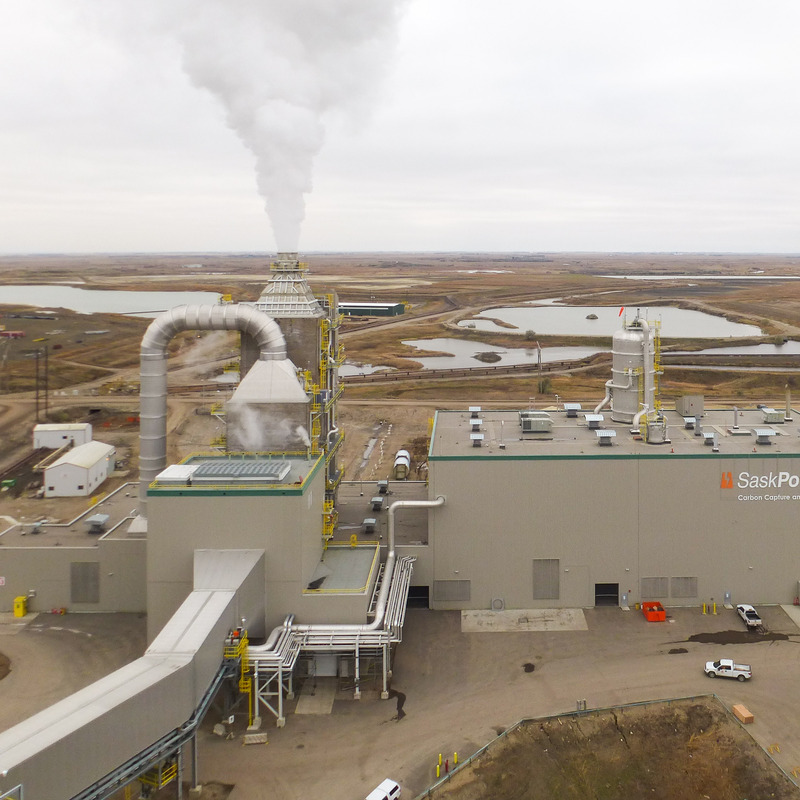 Pre-combustion CCS has lost ground recently for two reasons: One is that, unlike post-combustion CCS that can be retrofit to an existing power plant, as occurred at Boundary Dam, pre-combustion technology is only applicable to new plants. And few new coal-fired power plants are being built in the U.S. (thanks to cheap natural gas from fracking) or in Europe (where rising solar and wind generation is slashing wholesale power prices). Another factor is the weak example set by pioneering gasification projects. For example, little has been heard from a prototype plant erected in Tianjin, China, although it recently appeared in an intriguing footnote to the carbon emissions deal signed by Presidents Obama and Xi last month. As I wrote for Spectrum magazine’s Energywise Blog, the plant could become the first testbed for integrating CCS and water production. Plenty, meanwhile, has been heard from a pioneering gasification power plant in Mississippi, and the news is not inspiring. That cost of that plant, five times bigger than the CCS-equipped unit at Boundary Dam, has escalated from $2.4 billion to over $6 billion. And startup expected this year has been pushed back to March 2016 at the earliest. Causes of the delays and cost overruns, according to MIT’s CCS Project Database, include miscalculation of pipe thickness, length, quantity and metallurgy which then required reinforcement of the plant’s support structures.